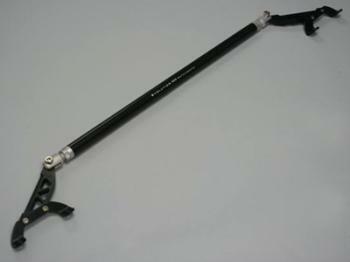 Evolution Motorsports Carbon Fiber Strut Bars help to reduce suspension deflection. The billet aluminum ends bolt to the top of each strut mount, which will reduce any suspension movement for improved handling. This suspension upgrade is a must for any street or track driven vehicle. The unique design was made specifically for your vehicle. For vehicles with factory BOSE subwoofers, please use BOSE Brackets (Part# SUSP997BOSEBRACKET).